Davies & Son has the longest history of any tailor on Savile Row. Founded in 1803 Davies & Co can boast Kings, Crown Princes, Knights of the realm and US Presidents amongst its bespoke tailoring clientele. Clark Gable, Bryan Ferry and Michael Jackson have also worn their clothes. They hold a Royal Warrant from HRH The Duke of Edinburgh as Military Tailors. 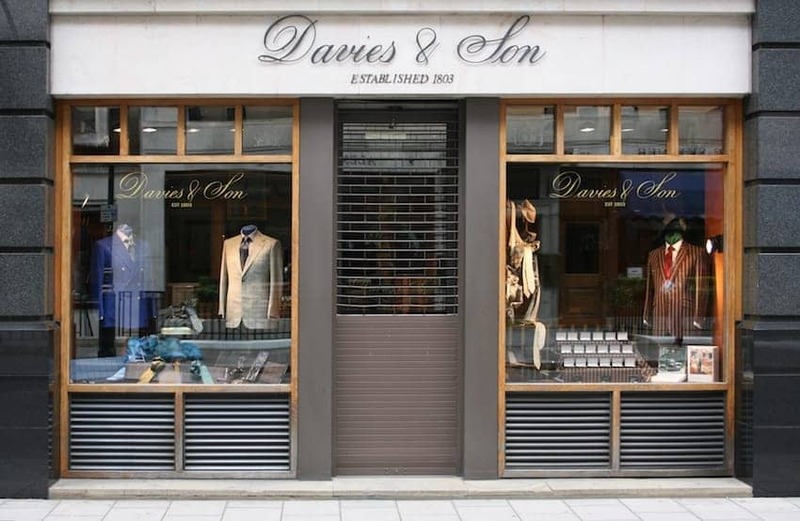 A purely bespoke house on Savile Row, Davies & Son's in-house tailors and cutters of several lifetimes' experience advise and guide the customer on cloth, style and personalisation of their bespoke suit.